For all the confidence the Yankees had after their seven-game winning streak, there was always a sense that the other shoe was about to drop. They're a streaky team, Joe Girardi said before Wednesday afternoon's 5-4 loss to the Nationals, and though the rest was left unsaid, it could be inferred well enough: These good vibes won't last forever. The shoe has dropped. 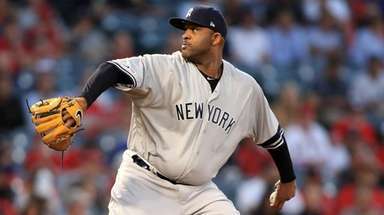 So has the Yankees' closer. The Yankees announced after the game that Andrew Miller, 17-for-17 in save opportunities, will be placed on the 15-day disabled list with a strained muscle in his left forearm. Miller, one of the premier closers in baseball, had an MRI Wednesday morning to confirm the injury -- called a flexor mass strain -- and will not be able to throw from anywhere from 10 days to two weeks, Girardi said. Miller has a 1.03 ERA, 43 strikeouts in 26 1/3 innings and a .090 batting average against. There is good news, though, he said: Muscle injuries tend to be less severe than tendon injuries, and the MRI showed no structural damage in that regard. Most likely, he said, it's due to fatigue. The Dellin Betances-Miller combination means a lot to the Yankees. If there were any doubt about that, yesterday's bullpen performance proved it in full Technicolor. With the Yankees leading 4-2 in the eighth, Nathan Eovaldi allowed a leadoff single by Yunel Escobar. With Betances unavailable, Jacob Lindgren, 22, made his sixth major-league appearance. He got Bryce Harper to fly out and Ian Desmond to force Escobar at second, but two pitches after getting ahead of Michael Taylor 0-and-2, he misplaced a fastball to righthanded-hitting Michael Taylor that sailed into the rightfield stands to tie it at 4. That score stood until the 11th. Tyler Moore led off against Chris Capuano with a single to left, was bunted to second by Jose Lobaton and advanced to third on Danny Espinosa's squibber back to the mound. 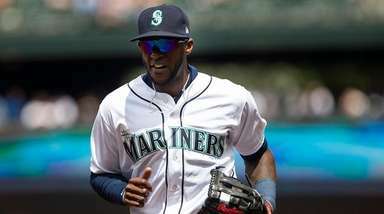 Then Denard Span hit a grounder over Capuano's head that was backhanded by Stephen Drew, but he was unable to get the speedy Span as the go-ahead run scored. The Yankees erased a 2-0 deficit with four runs in the seventh. Nationals starter Gio Gonzalez allowed a leadoff single by Chris Young and a one-out RBI triple by Brendan Ryan (just activated from the 60-day disabled list), whose drive went over the outstretched glove of centerfielder Span and off the wall. 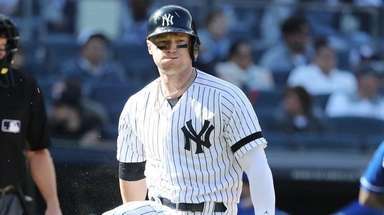 Lefthander Felipe Rovero replaced Gonzalez and allowed a tying double by Brett Gardner, who grounded a shot to the left of first baseman Moore and down the rightfield line. One out later, Alex Rodriguez lined an RBI double over Span's head. After Mark Teixeira was hit by a pitch, Brian McCann came through with a base hit -- literally. His grounder up the middle, which was headed right at Desmond, ricocheted off second base and over Desmond's head for an RBI single and a 4-2 lead the Yankees couldn't hold. Closing it out will be a more daunting task without Miller. Girardi said he'll likely move all his pitchers up a spot, with Betances moving into the closer's role, but that still was very much undecided. They likely also will call up a pitcher, he said.